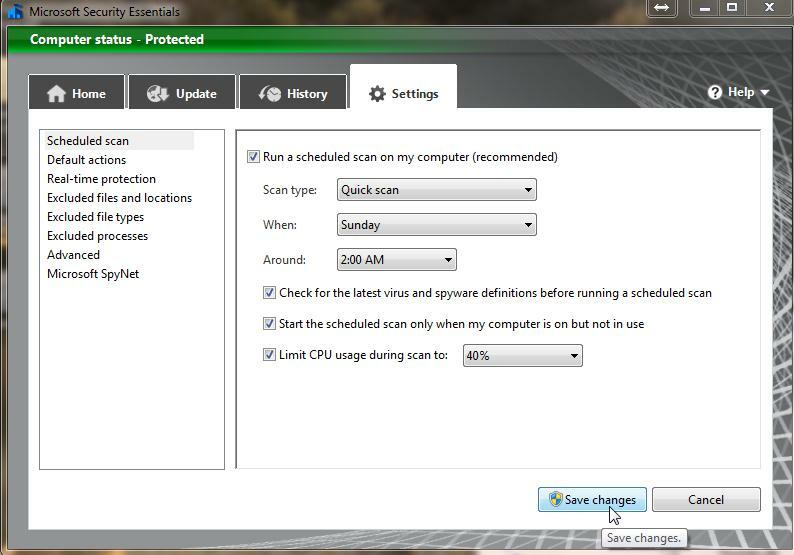 That post says to exclude some directories from your scanning. 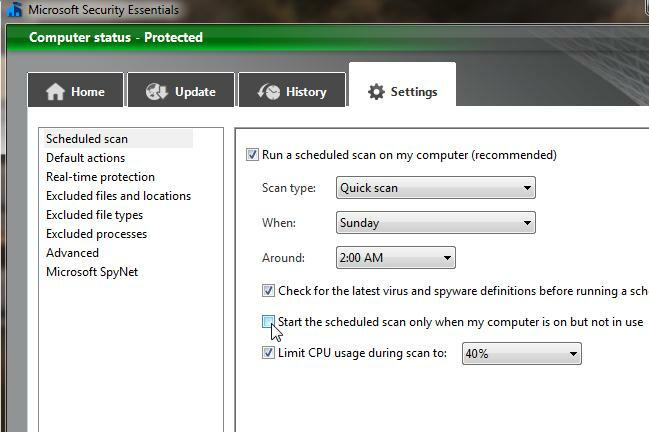 Â I have since found that, in the newer version of Microsoft Security Essentials, there are some options that have also helped. 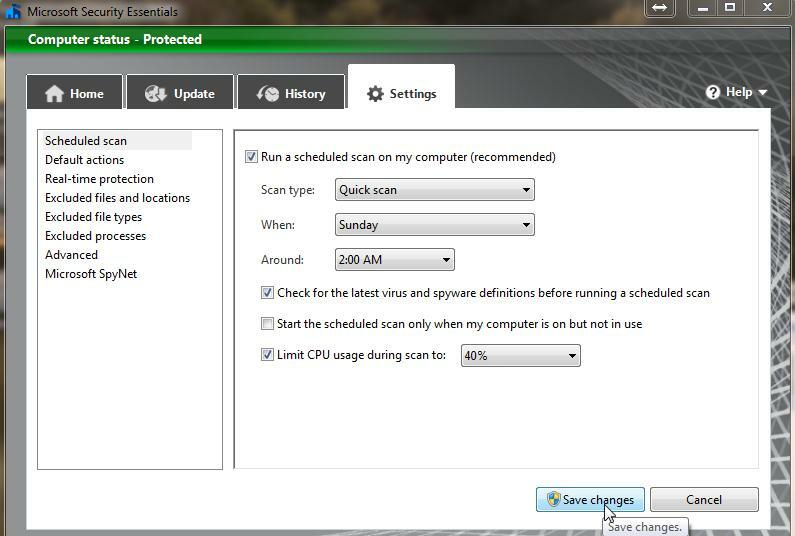 Â We mainly want to tell MSSE that we only want to scan if the computer is not in use. Â I also set to Limut CPU usage. I have tried this setting, and it does help. Â But read my other post too, if this doesn’t help, maybe give that other option a shot. Â Good luck!